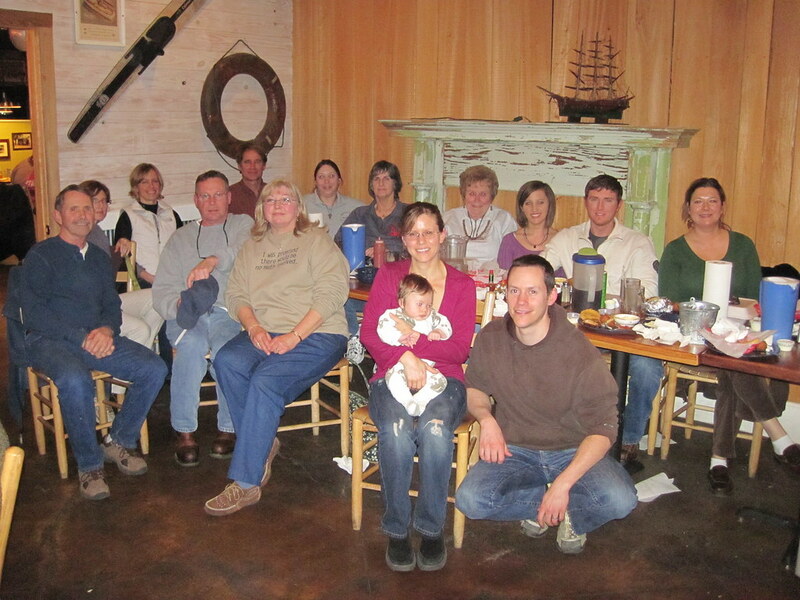 Please check your 2010 calendar and mark off Feb 26-28 th for the next NFSA meeting in Andalusia, Al at the Day's Inn. The rates are King or 2 queens is 65.95 per night There is wireless internet, and a hot delux breakfast. Our speaker will be Prof. Michelle Gillie from Auburn Univ. who is doing an extensive study on flyers and their communications with each other. She had just started her study back in 2004 and give a short talk at that meeting at the Dixon Forestery Center. It should be very exciting to be able to understand what our little fur balls are saying. We are also looking at a couple of other speakers that will be here also. There will be 3 meals that we will all meet and be together. Food in this area is not as high as in other towns around. There will be a silent auction table and a take what you want from a table of old and used things that our flyers are not using or liking. I am working on the shirts and will be able to give each one 3 different styles of shirts to choose from. A long sleeve tee shirt , golf shirt ,or a sweatshirt. I will try and keep the cost down. Every one will have to send in their money to me and I will then make the order. So I hope to see a lot of new and old friends in Andalusia, Al on Feb 26-28. Any idea when then event/lecture schedule will be posted? I plan to drive up from Fort Walton Beach and day trip it for the conference. I really look forward to meeting more flying squirrel lovers. It will begin Fri night with a get together . Each will register and pick up their goodie bags along with their sweatshirt or golf shirt that they ordered and paid for. Same thing for the Sat AM meeting. Who ever is around for the Fri. night group we will all go out and have dinner together.Dutch. Then meet back at the conf room for informal talk and getting reaquainted. Most of all talking about our fur balls. Sat. every one will meet down stairs for a hot breakfast and new ones will sign in . There will be tables set up for the silent auction and the give away table. So please bring someting for each if you have it. About 10 AM the first speaker will begin and it will end with a questions and answer period. There will be snacks and coffee along with drinks and bottled water during the meeting. Lunch will be at 12 noon and we will all go out as a group each pays for their own meal. Back to conf room by 1:30 or so and if you want to make bids on items you can . We hope to have another one or two speakers that afternoon. The silent auction will end about 5 PM and if you have won any thing you pay Joan. About 6 or 6:30 we will all go out for dinner together. After wards if weather permits we will all come to our house and have a bond fire with roasting marshmellows and hope to hear wild flyers in the woods.Everyone please bring a lawn chair. If it is raining then we will have to either come in at our home and see our flyers who will love to explore new "human Trees". If not we will go back to the conf room and enjoy each others company. If any one wants to bring a bottle of their liking we will have cups and ice along with mixes for making the drinks . There is not a bar at the motel. There will also be soft drinks and water . When in the South every one drinks Ice sweet tea so we will have that also along with unsweet tea. Sun we will all gather again for breakfast and then have a short meeting with Joan giving us an update info on the NFSA. Then the sad part comes having to say our goodbys to all. We hope to see a lot of old and new faces at this meeting . SEE YOU IN FEB.
Gail reports that Michelle's talk will be titled "Spoken like a true Southern Flyer, Decoding the Language of Flying Squirrels". I hope the prices are to your liking. We have tried to keep it down as low as we can. I think every one will really like the shirts. They will be ready for each one of you that order in your goodie bag when you regester on either Fri night or sat AM. Hope we have a great turn out. Last edited by MiriamS on Tue Dec 29, 2009 10:38 am, edited 3 times in total. Gail, I've emailed you a few times but I wonder if those emails are going into your junk box because I'm not hearing back. Can you write me at nfsaphotos@comcast.net? I'll be working on getting the video uploaded over the next week (day job interferes with fun stuff.) Due to the low lighting so that the slide show could be shown, the camera was unable to focus perfectly on the slides but Michelle went over the material quite thoroughly so viewers won't really miss anything. The audio came out well, but it might help to boost the sound with an external speaker if you need to hear it louder. We're about to wrap things up here. We're heading to the Huddle House for breakfast in a few minutes and then it's homeward bound for many of us. For those of you who weren't able to come, you missed a good time, but then there's always next year. Michelle really missed a very mad talking flyer last night. I want to thank Vickie,Spence, Joan, Bev, DAVID and My husband for all being there to help me with every thing. Couldn't have done it without all you guys helping out on Fri afternoon and night. Michelle I was so impressed with your presentation. I learned a lot from your talk and then talking with you afterwards. Hope to see you at the beach when we have our next Conf. Kevin and Emma thank you so much for helping me with this crazy touch screen computer and helping me add Baby Oops and Daphne. As Joan called the baby Keir "pup". He is 3 months old and the youngest member of the NFSA. Talk about a great and sweet little one he was . Kevin and Emma are true proud and loving parents. You would have thought we did nothing but eat all weekend and WE DID. So this next week I am eating a lot of salad and tuna . Last I want to thank Joan for her beautiful work of art (stain glass) of a flyer. She could go into business. We are so proud of it and can't wait for my frame guy to have it ready in a shadow box . Going to put a light behind it and hang it on the wall as a picture and nigh light. It will always have a very special place in our hearts. Joan you are our rock and leader . Thank you so much for every thing that you do. We just don't tell you that enough . Gail and Vicki did a wonderful job of organizing this conference and I know put a lot of work into it. Michelle Gilly's presentation was especially interesting since she had presented for us in '04 and at that time all she was able to get of the flyer's ultrasonice calls was "clicks" from a bat detector. Now, 6 years later, she was able to record the untra sonic calls, slow them down and play them back so they could easily be recognozed as flyer calls. She is in the process of identfying what the calls mean; so be sure to view the video presentation when it's posted. Tom Savage did a super job of explaining the various trees in their areas and what foods the flyers in the wild have available. Bev (pnerissa) became official NFSA Media person as she brought her camera and took bunches of still photos plus recording the talks on video. She and Kevin talked about the website and who knows what else as it's all over my head. Anyway, they seems to know what they are doing; so, no telling what we'll see in the future. Bev also volunteered to start planning next year's conference for the panhandle of Florida. I would like to add my thanks and kudos to Gail and Vicki who were the official hostesses. Thanks, especially to Gail for letting us headquarter at your house and arranging all the fun activities; yes, we did a lot of eating but all was really reasonable and Andalusia is a quite an interesting little city. To all who attended, it was really nice to see all of you, and socialize with you. We learn a lot from each other as well as from the speakers. I am looking forward to next year; it looks like we will be headed to the Florida panhandle and hopefully it won't be in another record cold spell. Yes, I think a conference in the panhandle for 2011 will be doable. In the interim for those wishing to come down and kayak and scallop I'll try to set up a mini-meetup for late summer that won't necessarily be flying squirrel related but just good fun. I had a great time at the conference and enjoyed meeting everyone. I've been busy trying to transcribe the actual video so I may wind up with a hard copy of the dialogue as well as two or three articles from the material. Anyway, I gotta scoot and head out to my day job. Oh to be free. I'm looking forward to hearing the presentations again, they were so interesting! Michelle and Tom were great speakers. Thank you, Joan, for the Squirrely-Davidson bird house. So cute! We can't wait to set it up for the furbutts in their room. We're really looking forward to the next time we can all conference together. Some one which I think was David said we needed to rename our house the "gate house". LOL The flyers and dogs are wondering where every one is. It is just to quite around here. Even the grandbaby puppy LULU left going back to Mobile. David if you read this we are under another snow watch for today. LOL Gee I thought I lived in the deep South. Again thank all of you that helped out . It is so true that every time we get together it seems like a family reunion. I can't wait for the next one in Fl I hope in the spring or early fall after the kids are back in school. Bev if you need any help let me know. Your pictures turned out so good. Thank you for all you did. Joan do you know how much money we took in on the auction? I don't think we are going to have to get much for the next one. Poor Bev had to repack her car so she could take a storage box full of things home with her. I took the beautiful stain glass flyer to my frame guy and he and a friend who came in were so impressed. I will have pictures made and get them posted when he gets it ready. It is truly a treasure and keep sake for Tom and me. Thank you oh so much. Vickie I can't wait to see how Barney and Jimmy do riding on their new Harley. That was so cute. See every one next year in the panhandle of Fl. You don't want to miss this exciting meeting. I think it needs to be a 4 day . I have already got dibbs on baby sitting while everyone is in the water looking for clams. gwsgrand wrote: ... Joan do you know how much money we took in on the auction? Yes, just put it in the account today: $ 200.50 plus Heather's membership fee. Ya'll would not believe the food Gail & Vickie had out at the library kitchen. We could have eaten there all weekend and slept in sleeping bag on the conference room floor! If I haven't already said thank you to everyone, I want to do that now. You all did a great job and I had lots of fun. I'm usually a bit nervous meeting new people but everyone seemed like family - a great big extended HOF family. As soon as they list the scalloping dates for this year I'll get started on a mini-vacation for scalloping at Port St. Joe. very cool slideshow!!! wish we had uv been there....maybe at the beach next year???? HOPE SO!!! I've got the first of Bev's Conference videos uploaded finally. Please let me know if you have any trouble viewing. I'm posting two links, the first is for viewing online. If you have any trouble viewing the first link, give the second one a try (it's a different video format that may work if the other does not). I should have the second video up sometime tomorrow. I'll post details once it's ready. Kevin thank you so much for getting this so we can review it and others that could not attend can watch what we were learning. I had to use the second one . Guess it was because I have this Vista. You and Bev have done a great job with all this computer stuff. Can't thank you guys enough. WOW, thanks for the video upload!!! Took a long time to load on our DSL, but well worth the wait! Wish I could have been there!!! These videos are fairly large, so just let it may buffer once it starts playing. If it stops or pauses, you can pause for a while and let the buffer build up first. Please enjoy and just let me know if any of you have trouble seeing / downloading the video.